There’s still a cloud over cryptocurrency but one thing is clear. Bitcoin is still king, worth more than $6,000. To put it in perspective, Ethereum is in second place, worth around $220. Bitcoin’s success is somewhat attributed to its first-mover status. But they’re also keen on answering their critics with quick responses and improvements. For example, crypto-experts have criticized Bitcoin for its scalability limitations. They responded with the Bitcoin Lightning Network. This makes transactions faster and answers scalability concerns. So, that means Bitcoin isn’t slowing down anytime soon. But what other cryptocurrency trends should do you need to know about? We take a look at five of them below. Decentralization apps (dApps) are in the early stages but show promise. They can get used for payments, lending, gambling, and the tokenization of assets. Decentralized exchanges (DEX) have also picked up steam in 2018. This trend will continue in the foreseeable future as bigger crypto-companies continue to build them. ICOs (Initial Coin Offerings) saw a big boost last year. As such, many countries put heavy regulations on ICOs or banned them altogether. The reason? Their non-compliance with local laws. Pre-ICO is now a trend. People investing in Pre-ICOs are not only getting a lower price but they’re getting perks as well. But, this is a trend to keep your eye on for another reason. CentraTech got into hot water earlier this year with the SEC over their pre-ICO offerings. Even if you don’t understand how cryptocurrency works, you’ve at least heard of it. Think about how much less you knew about it a year ago. In fact, even major Wall Street players like Goldman Sachs have plans to explore cryptocurrency trading. Despite the increase of awareness, Americans are still torn. 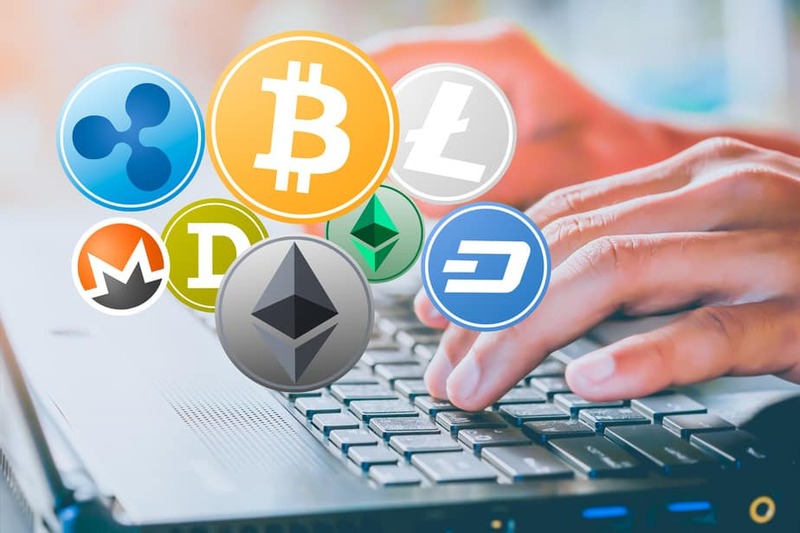 Cryptocurrency trading favors the U.S. market but state governments have made it even more confusing. While some have placed strict regulations on cryptocurrency, others have none. Still, others are working on regulating blockchain and cryptocurrency. As states continue to add regulations, consumers will continue to be on the fence about investing in Bitcoin and altcoins. Corporations, already familiar with navigating through government’s red tape, shouldn’t get swayed, though. Last year, Ethereum’s platform played a big role in the advancement of ICOs. This year, dApps are becoming all the rage. So, where does that leave platforms moving forward? They’ll still be the No. 1 choice for most investors. dApps aren’t big enough yet to dethrone platforms. Even if they gain a fair market share in the upcoming year, there’s still plenty of profit to go around. Ethereum is the most popular at this point, but it’s a copycat industry and others will emerge in the coming months. Cryptocurrency trends are always changing. That’s why you need to stay on top of all the blockchain and cryptocurrency news. Whether you’re a beginner or a seasoned pro, CryptoRyancy has all the information you need to make informed decisions. Check out our How to Buy Bitcoin blog to get started.